HEATH TOWNSHIP, MI. 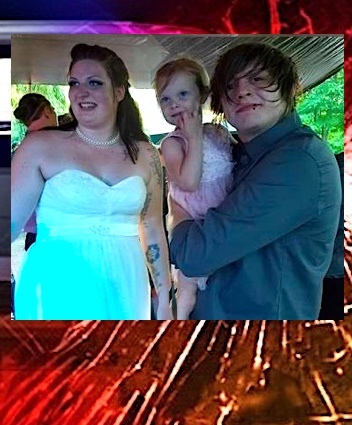 (THECOUNT) — A young Michigan couple killed in a Heath Township car accident weeks after exchanging nuptials, have been identified as, Logan Thunderland Allbaugh, and Hannah Mae Kwekel. Allbaugh, 24, and Kwekel, 22, from Holland, were named as the young husband and wife killed in a crash in western Michigan just a few weeks after they were married. An accident reports indicates the couple’s vehicle was struck from behind by a vehicle that apparently failed to obey a stop sign. The couple’s vehicle then was struck by a second vehicle. The couple was pronounced dead at the scene. The other driver involved in the crash had minor injuries and another wasn’t hurt.